Over the last few months I have seen increasing numbers of children being denied Omeprazole for the treatment of their reflux. These babies are distressed, vomiting, regurgitating, not sleeping and their parents are distraught. Omeprazole is a very effective medication for reducing the stomach acid, which causes most of the pain in GORD (Gastro Oesophageal Reflux Disease). GORD is a serious and common disease. It needs active treatment. Unfortunately for the babies and parents, there has been a backlash about prescribing this medication. Yes, it has certainly been over prescribed previously, but this does not mean that it should now be a banned substance. It seems to me that the current medical mood is to not treat anybody with reflux at all. Surely this must be an over-reaction. Yes, to me this seems to be an exaggerated response to a problem of over-prescription of this medication. Omeprazole is a crucial medication to effectively reduce stomach acid – this gives huge relief to babies and children who are in pain from acid reflux, and also much needed relief for the parents who are dealing with children in chronic pain. Everyday in our ‘Childrens Clinic’, we see distressed parents with upset children, telling me that they were not allowed to have their child on Omeprazole. I think this is wrong. If these children need this medication then it should be prescribed – of course, in the smallest dose that works, and for the shortest time it is needed. Yes, it is important to ensure that this is the appropriate medication for the child. It has to be carefully prescribed and monitored. Last week, one parent was told by a medial specialist “It doesn’t matter your baby is suffering pain because babies don’t remember the pain.” She was also told to “harden up” and get used to it. In clinic. Just seen a distressed mum and a distressed baby boy, 10-month old. He is not sleeping, crying, screaming and waking every hour or so. Also, not eating and will only suckle from the breast. He’s not growing, he’s losing weight. Mother has sought help from a lot of different doctors and a paediatrician – she says she feels blamed for her child illness. Yes. It is all so easy to blame the mother … or blame the child for bad behavior. But this baby has gastro-oesophageal reflux disease. He screams with food. He had colic and reflux early on. He needs medication to treat his heartburn. I expect him to be better very soon. We need to treat children seriously … it is not okay to blame the mothers. Next best after breast milk – what formula? What Formula should my baby have? This is the desperate question that many mothers ask me. They know that cow’s milk is making their baby sick, and now they are searching for the best alternative. They are ready to wean, but they are unaware of the various choices and what will best suit their baby. There is no question that “breast is best”. However, it is important that a “next-best” option is available. This is otherwise known as artificial or formula feeding. The decision of how to feed a new baby is not a menu choice. Formula feeding is not equivalent to breast feeding. 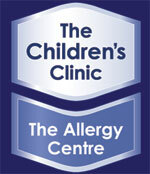 But it is an important strategy in some food allergy children. A formula is a combination of food components that are manufactured to be as close as possible to the food value of breastmilk. At this stage these formulas do not have the same biological advantages of breastmilk and will never capture to depth of breast feeding. However, they are an important part of nourishing children. Protein: Cow’s milk casein & whey (standard cow’s milk formulas). Infection: sterilization of bottles, teats, storage of made up milk. Cow’s Milk Intolerance: 5% of infants develop cow’s milk intolerance. As up to 40% of infants with gastro-oesophageal reflux have been shown to have cow’s milk intolerance. Anaemia: unmodified cows milk feeding is associated with iron deficiency anaemia. Obesity: growth rates of formula fed babies is faster. Feeding may not be well regulated. Intestinal flora: lactobacillus, acidophilus growth is important. What Formula are available for my baby? Breastfeed for as long as you can. Breast milk exclusively to 4-5 months and then add solids from 5 months – keep breastfeeding to 12 months if possible. But there comes a time when formula feeding is a good for your baby. What are your options? Standard cows milk formulas are based combinations of casein whey proteins. Whey-based formula are usually recommended for a start. Follow-on formulas have a little more iron and are for babies over 6-months old. Anti-reflux (AR) formulas have added thickeners to help reduce vomiting. Partial cow’s milk hydrolysates (known as HA hypo-allergenic formula). Amino acids based formula (such as Neocate and Elecare).